Inspired by our range of exquisite miniature portraits by May B. Lee, the session brings together a range of small-scale objects including models, a dolls house, dolls house furniture and baby clothing. 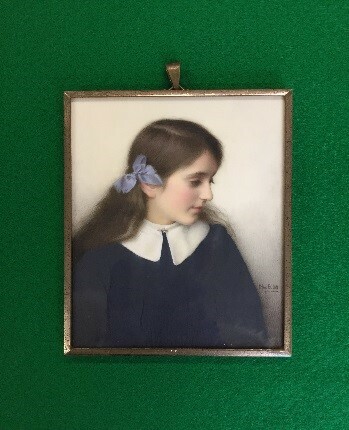 Visitors will have the chance to view this beautiful miniature portrait of a young girl by May B. Lee alongside our permanent display of May B. Lee’s miniatures and learn more about the artist’s life. Hands on History sessions are free and there is no need to book. Drop in between 11am to 4pm in the Picture Gallery. Don't forget our FREE Storytelling for Under 5s on Wednesday 17 April! Join Melly between 11.15am and 11.45am for a story all the sea. Be prepared to join in, make some noise and have lots of fun. No booking required, just drop in. All children must be accompanied by an adult.